Biologist Mosor Prvan from the Sunce Association, a nonprofit environmental organization that first noticed the circles, doesn't have an explanation for the phenomenon. The circles are about 164 feet in diameter and are roughly at the same distance from the islands and from one another. 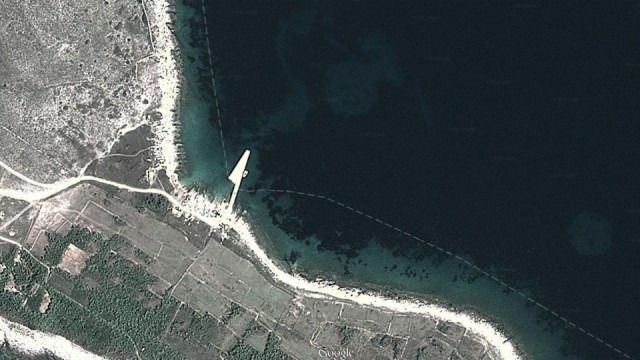 "We've first seen the circles in aerial photos in 2013 while working on a habitat mapping project at the islands of Unije, Susak and Srakan," Prvan told Mashable. The circles in seagrass near the island of Unije, Croatia. The image is a screenshot of an actual map from Arkod and has not been enhanced in any way. If you know where to look, the circles are easy to spot on Google Maps. But Prvan and the team from Sunce have dived in these locations to check with their own eyes. "At first we thought it was some sort of photo manipulation, so we dived at one of the locations, and sure enough, the circles were there. They had a perfect edge, as if someone pulled the Posidonia out with a corkscrew," says Prvan. Posidonia oceanica, a seagrass species endemic to the Mediterranean Sea. A similar case of mysterious seagrass rings in Denmark has been explained by scientists in January 2014 — the rings were a result of a poisonous substance that was killing the seagrass, leaving circular marks. But this case is different in several ways: The rings are larger and more regular, both in their shape and the pattern in which they appear. 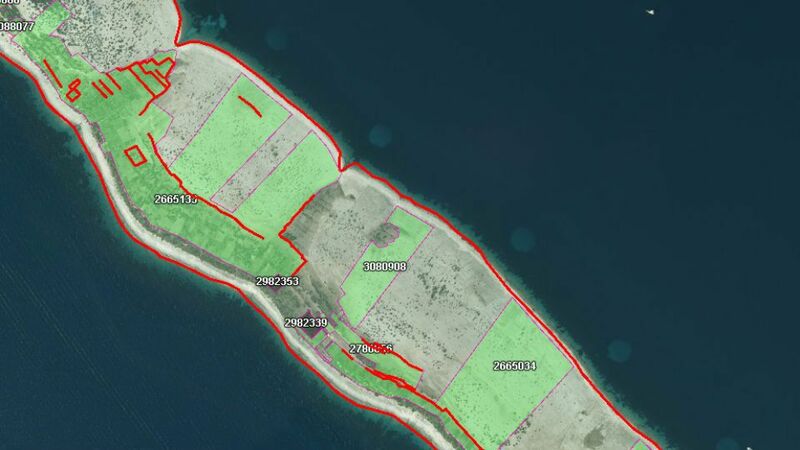 Empty circles in seagrass, roughly 164 feet in diameter, near the Croatian island Srakan. The Google Maps screenshot was not enhanced in any way. Prvan is sure the phenomenon is antropogenic (manmade). "I don't know the cause, but I think it's manmade. I've contacted several experts on Posidonia, and they've never seen anything like that. I don't think it could be a bacteria or a substance poisonous to the seagrass." Another solution that comes to mind is illegal dynamite fishing, which can damage the seabed, but Prvan waves it off. "Dynamite leaves smaller, irregular trails. It would take a huge amount of dynamite to cause a 50 meter circle." And it's not all just a brain-teaser, either — the phenomenon could potentially have serious ramification on the environment. "The Adriatic is one of the most important Posidonia habitat in the Mediterranean," says Prvan. What's the most probable cause, then? "If I had to take a wild guess, I'd say military experiments. 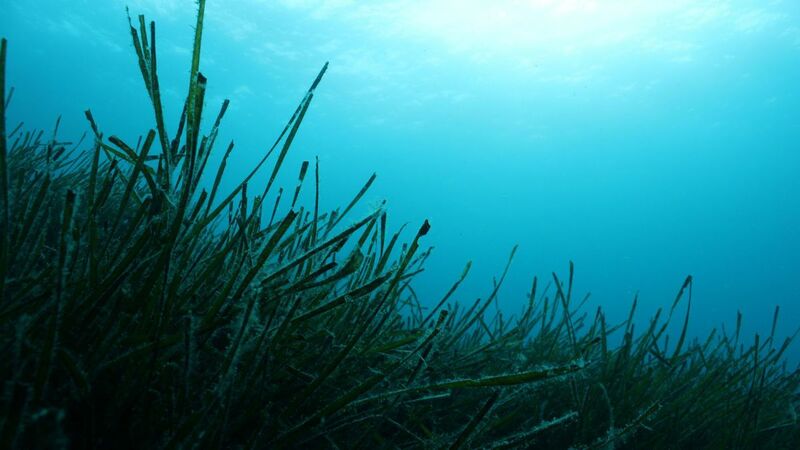 Posidonia grows slowly, only 2 to 3 centimeters a year, and there's a theory among experts that once you removed a patch of Posidonia like that, it would not grow there again," he said. "Whatever caused this could have happened years ago. So, to determine the cause, the first thing to do would be to find out how old these circles are."